Jacob here is a biblical character in a time of transition. He has had to leave everything he knows and set out to find his future. There is no indication in the story thus far that Jacob believes in the God of his father… at least at this point in his life. Maybe some of you relate. In church you know all the right answers to keep others believing that you still believe. But you are really just relying on mom and dad’s faith. You haven’t personally flexed any spiritual muscles yourself. Let me warn you: the path ahead of you is going to test it. 10 Then Jacob departed from Beersheba and went toward Haran. 11 He came to a certain place and spent the night there, because the sun had set; and he took one of the stones of the place and put it under his head, and lay down in that place. 12 He had a dream, and behold, a ladder was set on the earth with its top reaching to heaven; and behold, the angels of God were ascending and descending on it. Jacob sees a different ladder here. It wasn’t one leading to riches and wealth and fame. After his attempt at being Esau, he is run out of town.. sent out to seek his fortune with just his staff in his hand. He didn’t even have time to bring his camping pillow… a rock had to do. 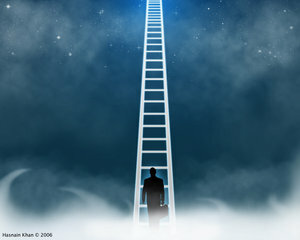 But there in the wilderness Jacob saw a vision of the ladder which leads to true blessing. Before him stands the famous “Jacob’s ladder.” Perhaps you’ve heard of it or grown up singing about “climbing Jacob’s ladder.” But if you notice here… Jacob isn’t anywhere on this ladder. Here is Jacob… so used to grabbing for what he wants… receiving the blessings of God… with his feet still on the ground. When we gather in worship on Sunday morning it is a time when we step off the ladders of success we are faced with in school or on the job every day… and we approach the ladder to heaven by which God blesses our lives. And we learn it is all received by grace. 2. Cultivate an awareness of God. Leaving Home for many means leaving childhood behind… church and God as well. Because those things aren’t… well… relevant . God is something from childhood… best forgotten. But the best thing about Jesus is that he comes to us where we are at EVERY STAGE of our lives. What lay ahead for Jacob? He had yet to find a wife… a job… colleagues… friends… wealth… purpose. And it was there that he met God on his journey. Now is the day for you to have that epiphany! 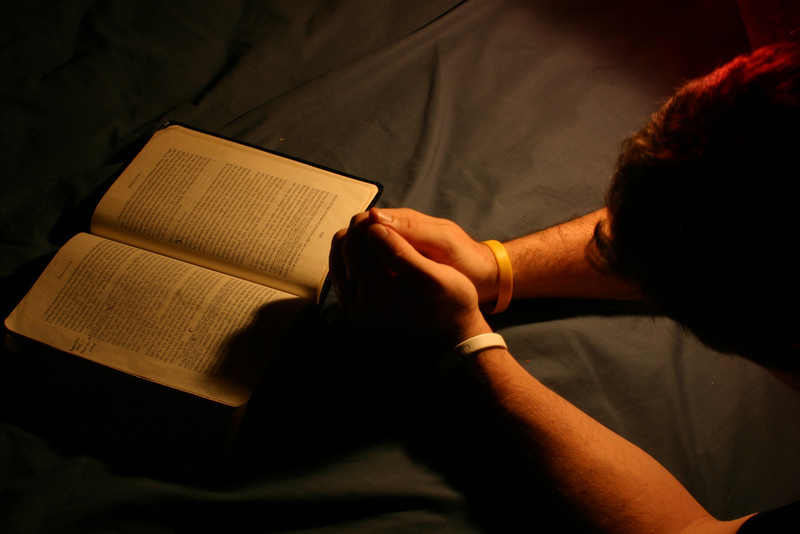 God is right there with you at the study desk… When you are choosing electives…. When you are deciding what you want to do with your weekend. But we miss him because we fail to use proper disciplines in our lives… attending worship services… reading the Bible… Prayer… hanging out with Christian friends. As I think about it… we all need these two tips. These temptations might be crucial to deal with when leaving home… but they continue throughout our lives.